Ocean views or river frontage, budget accommodation or luxury, the choice is yours! There are plenty of options to choose between when planning a holiday in the Lakes Entrance of Victoria no matter how many people you are trying to accommodate and what your budget might be. 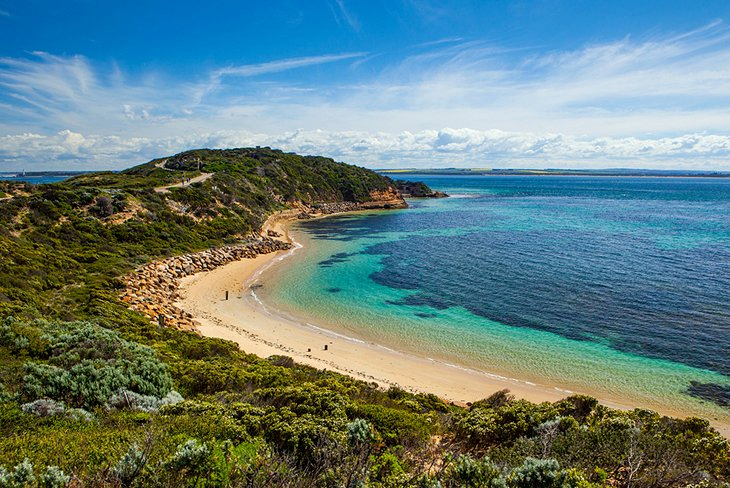 Located between Bairnsdale and Orbost at the mouth of a manmade channel leading to the Gippsland Lakes region, the Lakes Entrance is a stunning location for all holiday getaways which is why so many people have been making this holiday destination their number one pick for so many years. Backpackers, families, interstate and overseas, business or pleasure, there are numerous reasons why travellers choose the Lakes Entrance as their final destination and one of those reasons is the range of accommodation. With great rates, holiday packages and specials available at various times throughout the year with many different properties you can not only stay in your ideal type of accommodation but also enjoy wonderful savings too. Ask about including tours, meals, accommodation and more all into the one affordable accommodation special so that everything can be booked and arranged before you even begin. At the lower end of the scale there are Caravan Park and holiday parks that provide powered and non powered sites where you can park your caravan, pitch a tent or pull up in your motorhome for your holiday in the Lakes Entrance. Many sites boast water views and even water frontage as well as plenty of onsite facilities to make your stay enjoyable which will have you feeling like you are staying in a resort but without the price tag attached. Along with Caravan Park why not check into a stylish hotel with interlocking doors for a holiday with the kids, arrange for a weekend trip to be enjoyed in one of the resorts and for extended holidays you can always book a spacious self contained apartment complete with everything that you will need for an enjoyable time. Resorts and Spa retreats perfect for couples looking for a little indulgence, bed and breakfast where you can cosy up with your loved one, holiday units close to the restaurants, cafes, bars and beaches as well as holiday homes, luxury apartments, boutique cottages and budget chain motels can all be booked for your trip to the Lakes Entrance. Backpackers can stay in dorm rooms, twin room or book a double room for privacy at the local hostel or for anyone looking for complete relaxing, privacy and exclusivity then why not book a waterfront deluxe room at an exclusive retreat in the Lakes Entrance. The accommodation in the Lakes Entrance comes in all shapes and sizes and price ranges so that all travellers are completely accommodated and will have no problems finding exactly what they are searching for. Ask about the great specials, book your accommodation and begin your trip to one of the best coastal destination in Victoria.